Would you like to learn how to help yourself and your dog feel better and move more freely–at any age? Whether you’re a baby boomer with an aging dog or a millennial with a young pup, Mary Debono can help you and your dog get the most out of life. 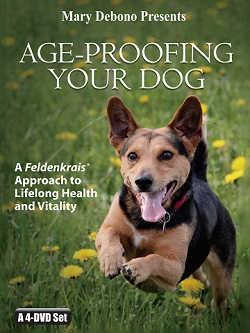 Mary's unique approach, based on the work of Dr. Moshe Feldenkrais, is designed to enhance not only your dog’s health and well-being, but yours as well. Mary will describe how she has helped dogs overcome the effects of stroke, arthritis, hip dysplasia, torn ligaments, aging, anxiety and stiffness. These dogs−many of whom were considered hopeless cases−demonstrate that improvement is possible at virtually any age or condition. 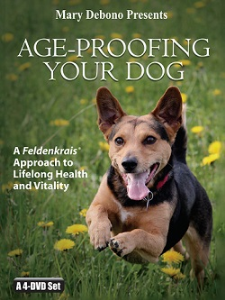 “Mary's Age-Proofing Your Dog workshop allowed me to see how Feldenkrais can help improve the movement of our beloved pets. Mary shared hands-on techniques that had real world applications for my own dog. After attending the class, I worked with my 13-year-old Labrador to help him find a better quality of movement as he manages life with arthritis and hip issues. 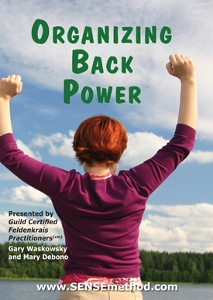 “I signed up for Mary’s workshop with the intent of learning techniques how to help my dog in her "old age". But I learned so much more. Mary has a wonderful, sensitive teaching technique that can be applied not only to animals, but to our fellow humans. She really reminded us of how to treat any nervous system.